It’s been a bad August, well, it’s been a bad year. Mark’s best friend lost his battle with cancer, mother passed away, two of my cats are under the weather, new A/C for the house, new A/C for the car, got rear-ended and slammed into the car in front of me……..do I need to keep going on. You get my drift. Anyway, things could be much worse and I’m thankful for what Mark and I have. We really do have a lot to be thankful for. I need to get back to it and finish up the three quilts I’ve been working on. Here is a sneak peak of what they look like. Daphne with a ton of thread sketching. 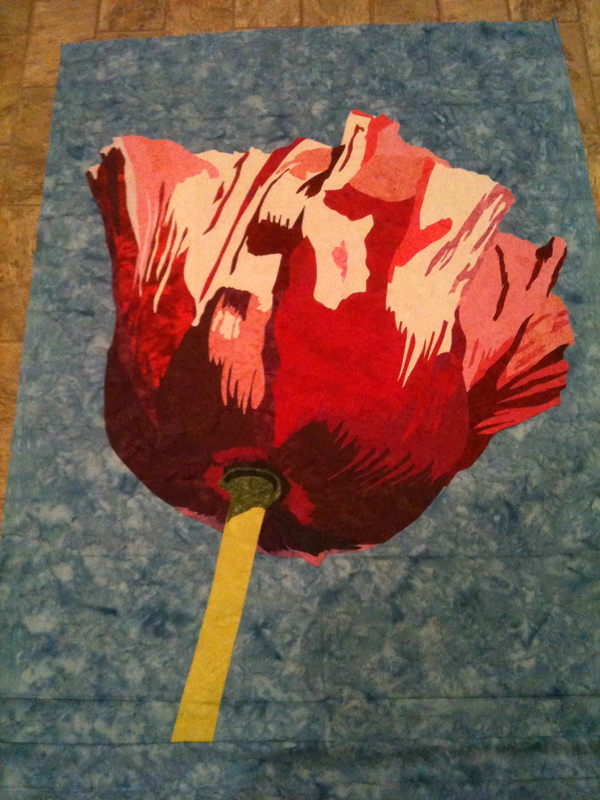 Oversized poppy…..what, you didn’t think I was working on a flower quilt……well, of course I am. 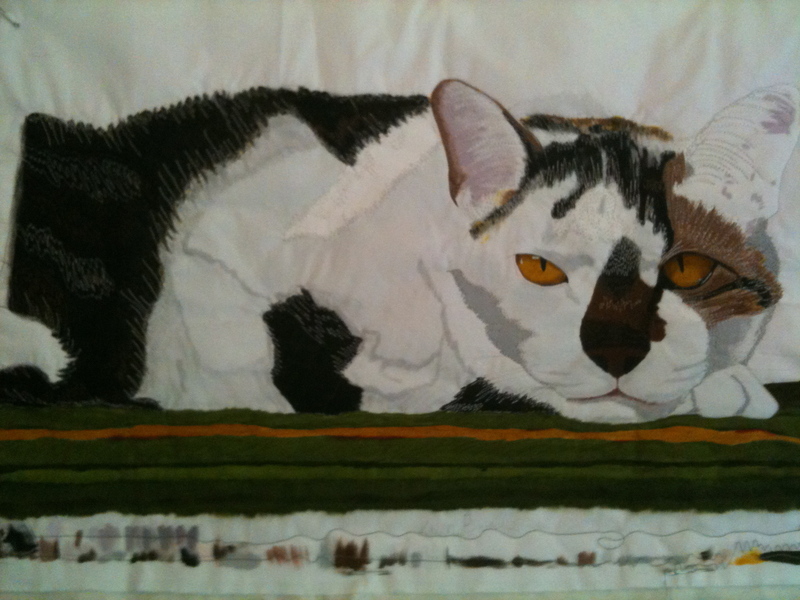 Hopefully, I can get back to stitching this weekend. I am sorry for the hard times, especially loosing your mother. 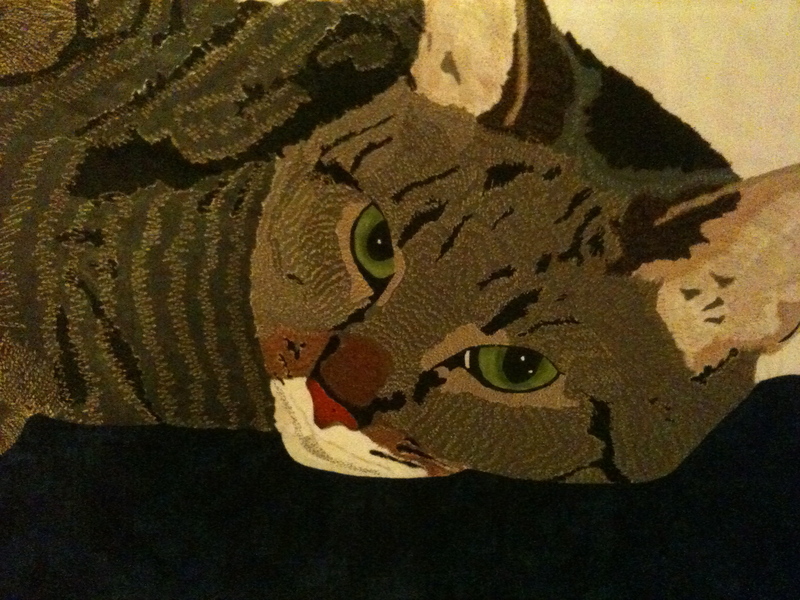 Totally love your stitched cats…You did a great job.